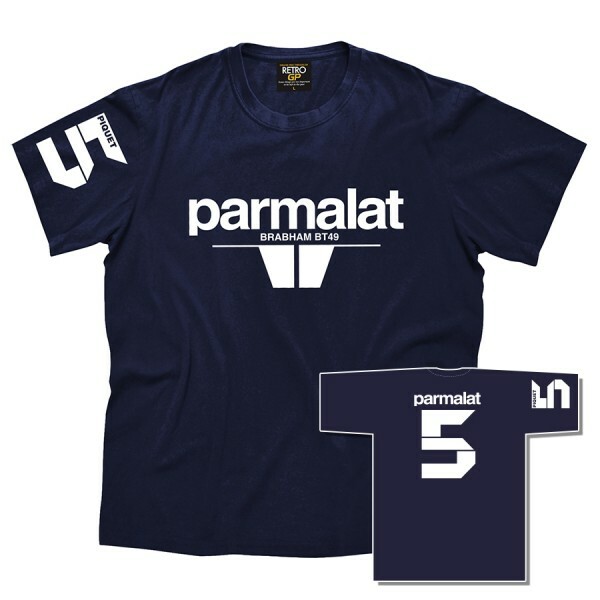 "Brabham Parmalat F1 Racing Team T-Shirt"
Das OFFIZIELLE Brabham F1 Racing T-Shirt in dunkelblau, sehr hochwertige Qualität und angenehm zu tragen, vorne, hinten und am Ärmel mit dem Team Logo und der Nummer 5 bedruckt. The official Brabham F1 racing t-shirt in dark blue is a high quality t-shirt, very enjoyable to wear and there are a logo prints on the chest, on the back and at the arm. Weiterführende Links zu "Brabham Parmalat F1 Racing Team T-Shirt"